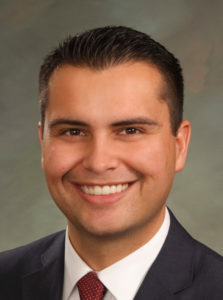 We’ve been following the odd story of a piece of legislation introduced by Republican Rep. Dave Williams of Colorado Springs this session, usually one of the House’s more disagreeable GOP members. In just a few years, Rep. Williams has garnered himself a disproportionate amount FOX News face time with his high-dudgeon bashing of illegal immigrants, a controversial brand of “reverse identity politics” about which we’ve had a few less-than-positive things to say. So far this year however, Rep. Williams has earned most of his media from a much less overtly controversial piece of legislation he introduced in response to a practice by Colorado Republicans of charging fees in order to serve as a delegate in the party’s county, district, and state-level assemblies. In this campaign Williams has found ready allies among Democrats, who do not charge any kind of equivalent fee–and as a result, Williams is successfully moving a bill through the Democratic-controlled General Assembly over the growing frustration of Williams’ Republican colleagues. We’re actually somewhat surprised to see Republicans persisting in their opposition to this bill after the initial round of press went very badly for them. The fact that there is no equivalent “fee” imposed by Democrats, who are nonetheless able to conduct their assembly process as the law requires without it, severely undercuts the contention that this change would “bankrupt the party.” If anything, that reinforces the argument that Republicans who need to make some changes–and some moral introspection too. And it’s absolutely right–if Republicans want to bemoan the “Democratic sleight of hand” that has defined certain fees as something other than a tax in order to function under the strict language of the Taxpayer’s Bill of Rights (TABOR), they ought to be consistent. I’m not surprised by Williams carrying this bill. It reflects the changing demographics of the GOP. When the GOP was primarily a suburban-based Chamber of Commerce-oriented party, asking members to contribute to participate was not asking too much. But since it has transformed into the Party of the Deplorbles, the new base is not as affluent as the old base, and God knows they don’t want a fee to caucus to cut into their ammo, beer and cigarettes household budget. God I HATE being on the same side as this doucherocket. Ah, it's okay, B.S. Just call him a busted clock. I frankly don't care if the Republican Party wants to hold a private caucus of the top-10 Republican millionaires in the state when nominating their delegates. The right solution is still a ranked voting system and open ballot access where parties get just an endorsement mark and no control over candidates. Or simply wait for Moderatus to make his traditional loser endorsement and then nominate anyone but that candidate. Think of the branding / sponsorship possibilities. Companies can buy all or some of the number of badges corresponding to the number of delegates, and present them when the delegates show up. Or throw up banners and insist any news coverage mention the sponsor — e.g., "Elway Arapahoe County Republican Assembly." Statewide, I'm doubting there will be many years when COGA doesn't outbid others to sponsor the Convention, but I suppose there could be a spirited bidding war with DaVita. I thought Coffman did that last time. I personally think stupidity is woefully undertaxed in this State, and I have absolutely no problem with people paying from their own pockets for some of the costs associated with their bad decisions.